This year, I will be celebrating Mother’s Day as a mother with a kiddo for the seventh time. My thoughts and feelings about the holiday have changed over the years. It used to be a day to gather with extended family for a nice brunch. Then, it became a day to spend quiet time with my family enjoying each other. 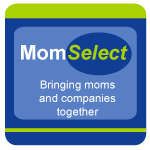 It changed some in recent years because my little guy’s birthday is very close to Mother’s Day and we have had a family celebration on Mother’s Day at least once. This can easily make the day stressful. 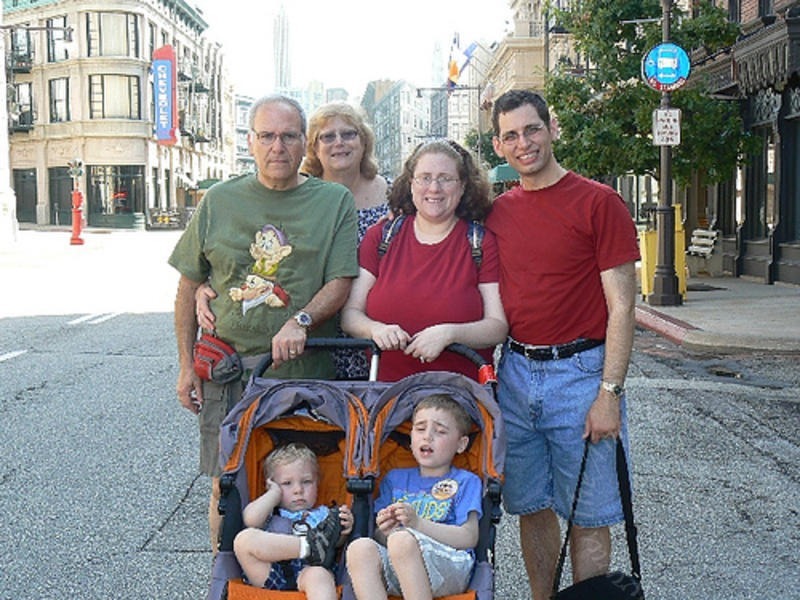 In May 2009, we took our boys to Walt Disney World for the first time. Making it extra special, my parents decided to experience the magic with us. We arrived the day before Mother’s Day, making that Sunday our first full day at Walt Disney World. 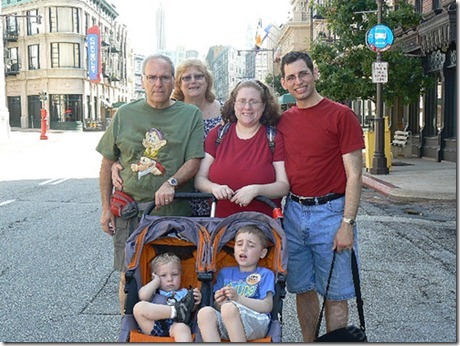 We woke up that morning and went to Disney Hollywood Studios. It was a magical day with my boys and my parents. Even though my glasses broke, it could not ruin the day. It was filled with laughter, smiles, memories, and milestones for my kiddos. It was also the day that both of my boys were likely bitten by the Disney bug and joined the ranks with the rest of our family. No matter how our Mother’s Day celebration changes over the years, one thing stays constant. It is a day where we make sure to thank the mothers in our lives. This includes not only my mother and TechyDad’s mother, but my grandmother, sister-in-laws, aunts, and friends who are mothers. Now time to admit something, I am sick of going to stores to fight for a spot in a small display to pick our greeting cards to send people. This year, I plan on sending long distance cards via Tiny Prints. Tiny Prints provides simple, modern and unique stationery from Fathers Day Cards to personalized greeting cards to thank you cards, business cards, and even custom wedding invitations or photo birth announcements. Offering exclusive designs from the nation’s top designers, easy card personalization, a powerful preview engine and top-notch customer service and paper quality, their designs have been lauded by numerous television networks, publications and celebrities. With Tiny Prints by your side, commemorating every holiday and momentous occasion is a cinch! They offer perfect party invitations for every occasion and memorable personalized photo-gifts like notebooks, photo books and calendars to commemorate the event. Now, I best be off. I need to start my list of cards to make for special women in our lives for Mother’s Day 2011. 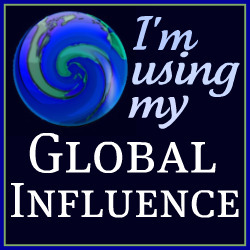 Disclosure: I wrote this post as part of a Global Influence campaign for Tiny Prints. By sharing this information with my readers, I will also receive a Tiny Prints gift code to thank me for my participation. No other compensation has been given.